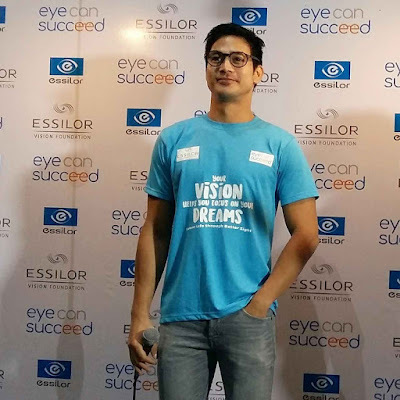 Top actor and eye health awareness advocate, Piolo Pascual, was recently appointed by the Essilor Vision Foundation (EVF) to personally lead the launch of its Eye Can Succeed advocacy campaign. Eye Can Succeed aims to provide free eye check-ups and free prescription eyeglasses for 10,000 Filipino public high school students as they pursue higher education and achieve success. The campaign supports EVF’s commitments to eliminate poor vision and its lifelong consequences, as well as to grant the underprivileged the opportunity to live a better life through better sight. Four thousand students in grades 11 and 12 went through a series of eye exams conducted by volunteer eye care professionals. Those who showed signs of vision problems received free prescription glasses. For more information about EVF and the Eye Can Succeed advocacy, please visit Essilor’s website at www.essilor.com.ph, and follow @EssilorPH on Facebook, Twitter and Instagram.